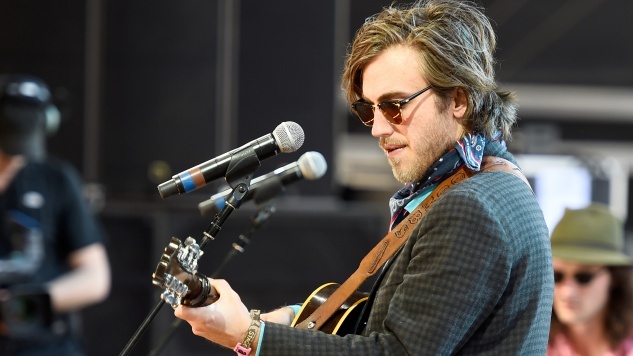 Listen to Andrew Combs' Cover of The Strokes' "Reptilia"
Thursday, Andrew Combs gave an iconic rock song a genre-shift reexamination with his cover of The Strokes’ “Reptilia.” The cover is one of five that will be released together as 5 Covers & A Song on July 27 via New West Records. As the title suggests, in addition to the five covers, the record will include one original Combs song. In Combs’ take on “Reptilia,” the dominant sound of electric guitar is replaced with a focus on percussive and brassy sounds. Julian Casablancas’ voice is obviously swapped out for Combs’ own, and Combs’ singing style boosts the sentimentality of the song, especially when it wavers in moments. Combs has also provided some details about the inspiration for his new record. The EP started with Loudon Wainwright III and his song “4 × 10.” As the idea for the project developed, Combs moved away from a purely Loudon-oriented covers record and ended up where he is now, covering five different artists who impacted him. The original solo Combs song, titled “Expectations,” was written with Sarah Siskind in Nashville. Listen to Combs’ cover of “Reptilia” and watch his 2017 Paste Studio session below. Check out the EP’s tracklist and Combs’ tour dates further down. You can preorder the record here.